The oldest part of the castle is a square brick tower in the southeast corner, built in the early 13th century, when Söderköping became a city. 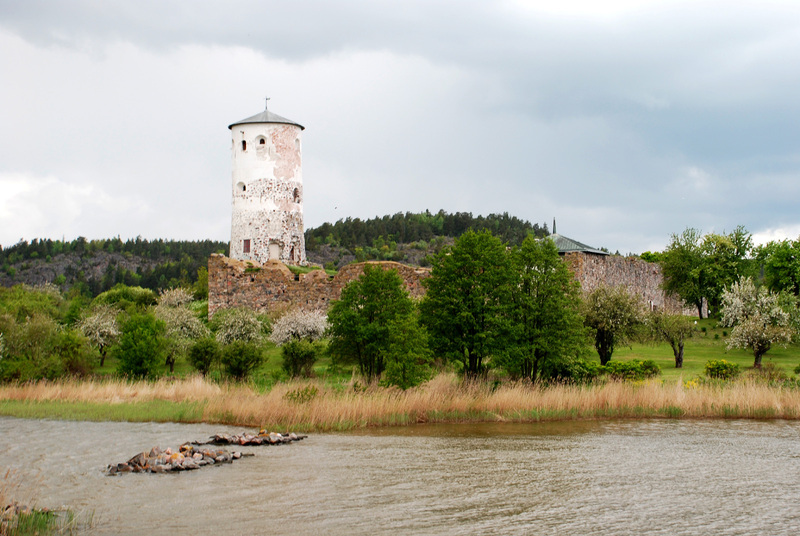 A simple fortified residence was added during the 14th century, expanded and supplemented by a wall and a round tower in the west. 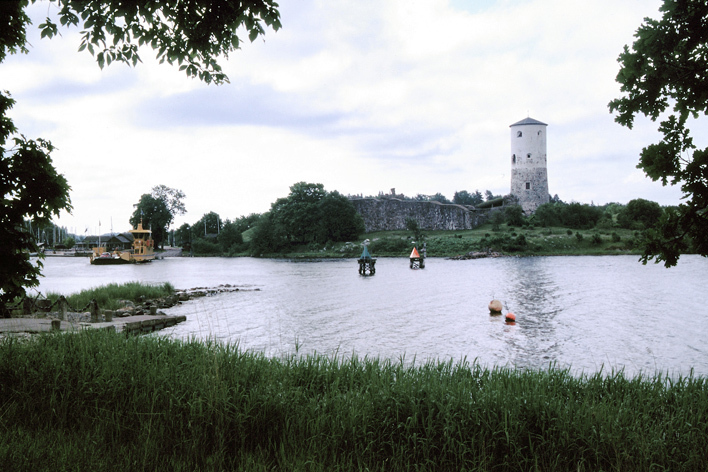 During the 16th and 17th centuries the building was further expanded, especially during the reign of John III of Sweden, when the round tower attained its present height. In addition, a castle church was added to the north wing. 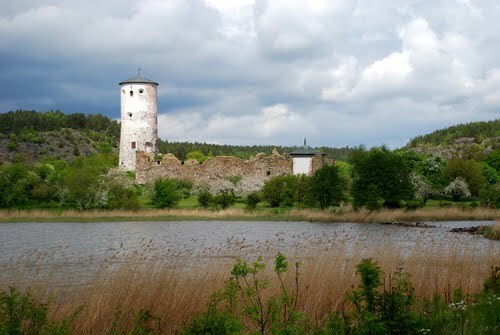 Several of the Vasa kings lived in Stegeborg, which was allotted 1652–1689 to the Palatine counts John Casimir (died 1652) and Adolph John. The crown sold the castle in the 1730s for building materials. The bottom floor's large masonry protected it against complete destruction. 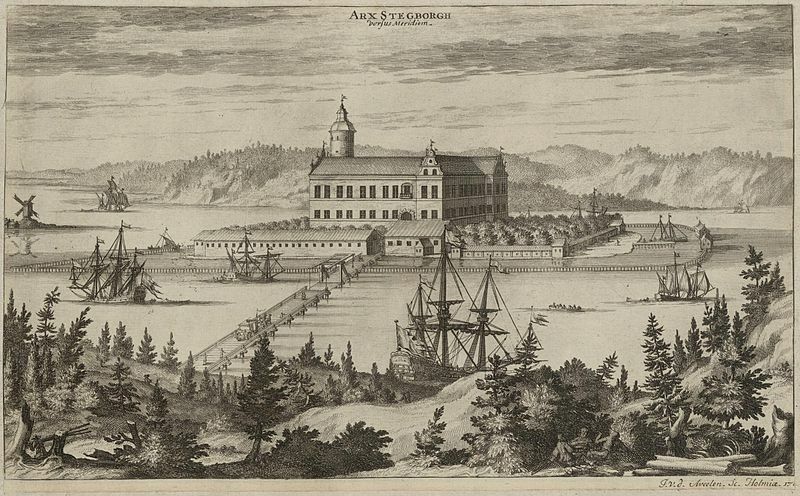 Until 1689 the castle was the center of the Östergötland archipelago's local government. The new castle, a whitewashed three-storey building in neoclassical style, located at the former southern royal farm, was built in 1806. The castle is mentioned in 1310 as Stækaborg: the name comes from stæk, mediaeval Swedish for stock, pile, or the other place name Stäket. "Stäk" refers to several systems of pilings - stakes - submerged in the water which blocked the channel. The oldest of these systems has been dated between the 7th and 9th century. Pilings dating back to the 11th century have been discovered in the waters north of the island. The purpose of the piling barriers was to prevent or hinder shipping. These pilings were still extant in the 19th century, and therefore vessels had to pass the island on the south side to reach Söderköping.